Adjustable 18-19 inch Light blue, dark blue, and silver Glass, Crystals, 0.925 Sterling Silver Necklace, adjustable toggle clasp. 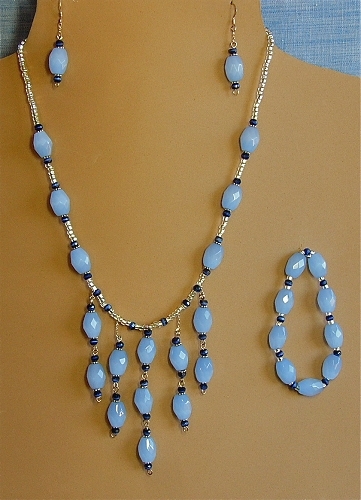 Three-piece set: Necklace, matching Earrings and stretch Bracelet. Each piece can be purchased separately.